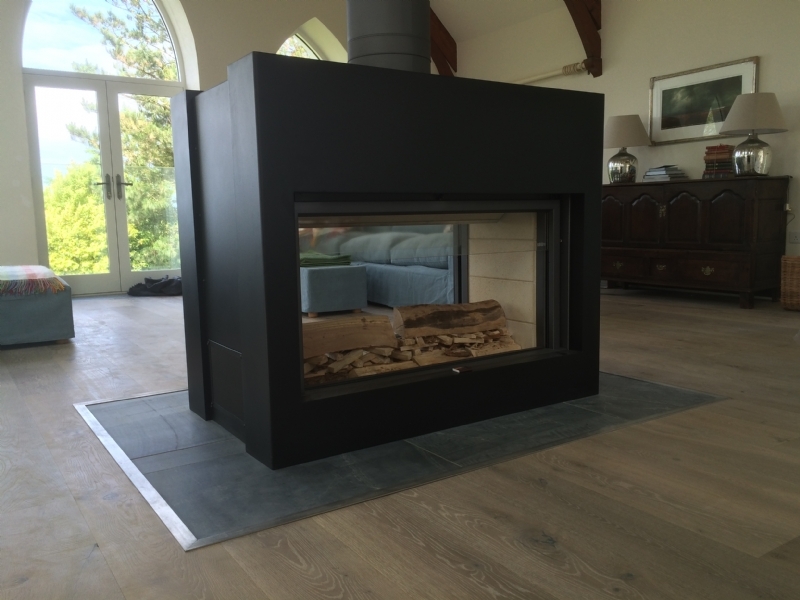 Stuv 21 125 double sided bespoke fire wood burning stove installation from Kernow Fires. 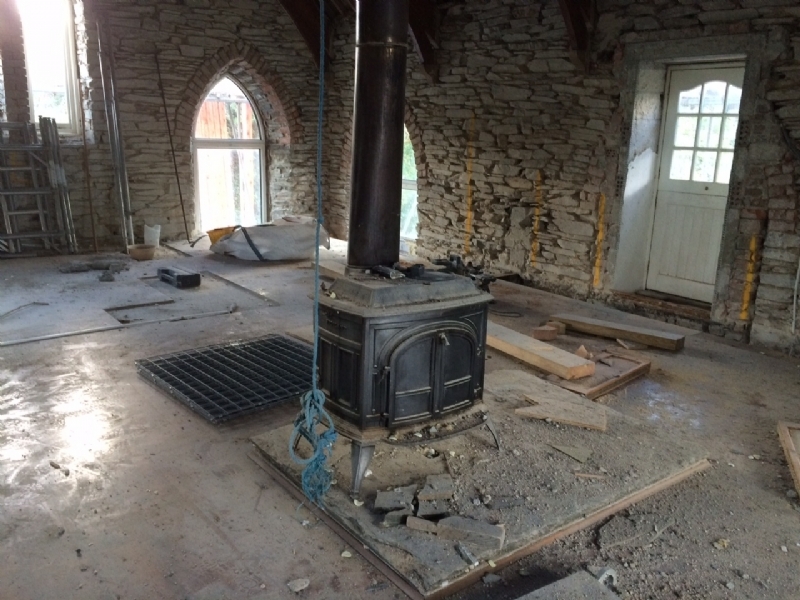 Customer Aspiration: A large fire to heat this newly renovated chapel. 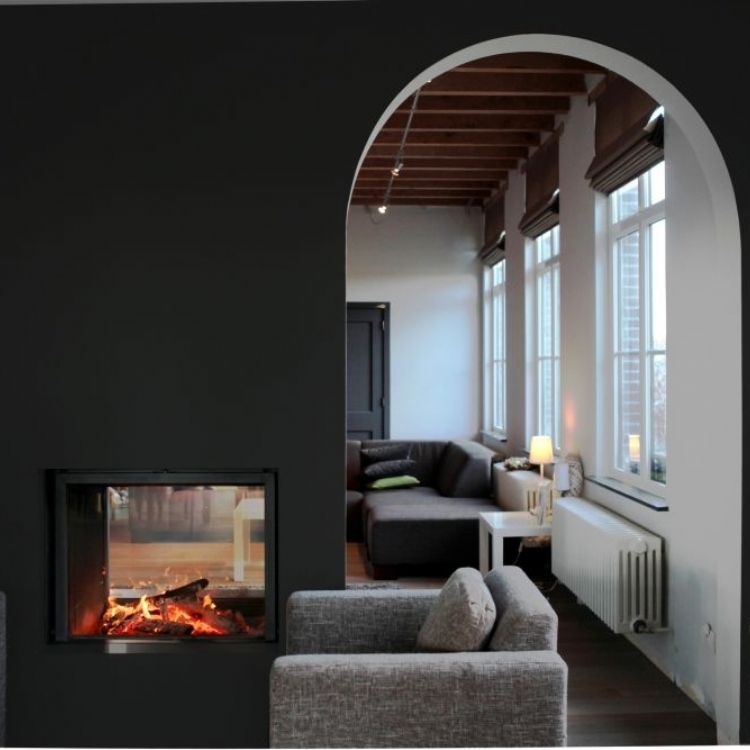 Requirements: Needs to be double sided. 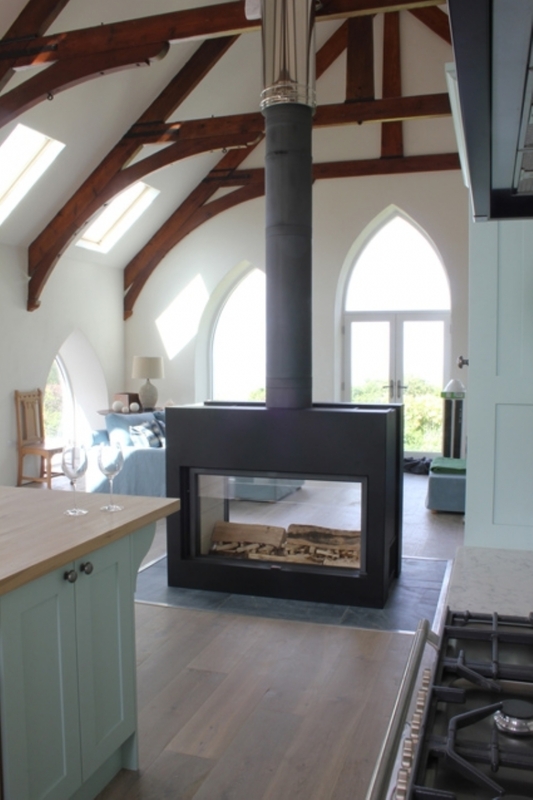 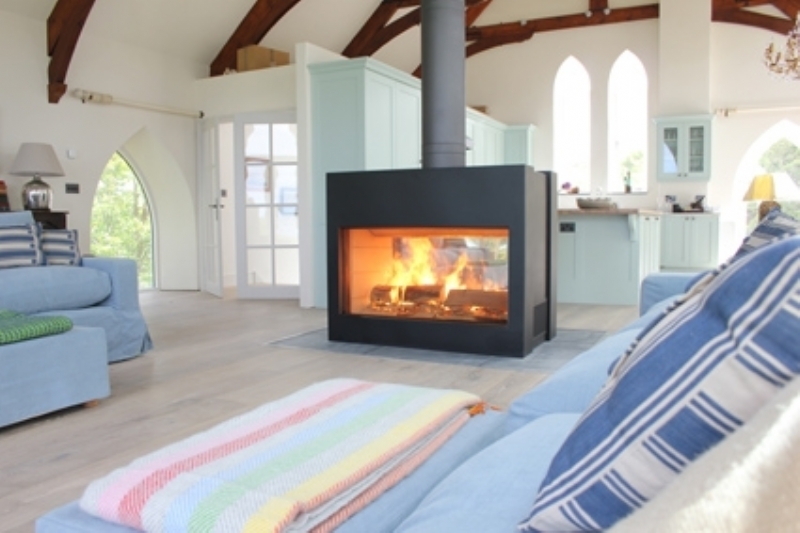 The double sided Stuv 21/125 in this renovated chapel in Cornwall was fitted with a bespoke fireplace made here in Wadebridge. 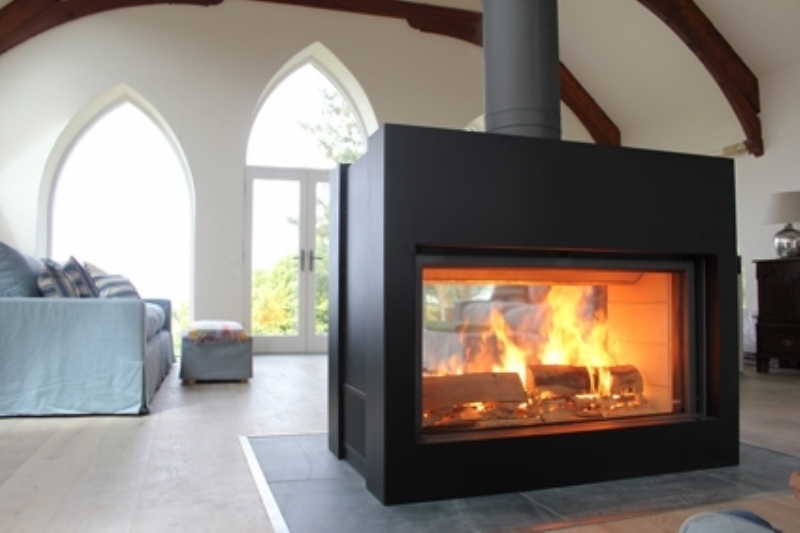 This fire creates a huge amount of heat and is incredibly impressive centre piece. 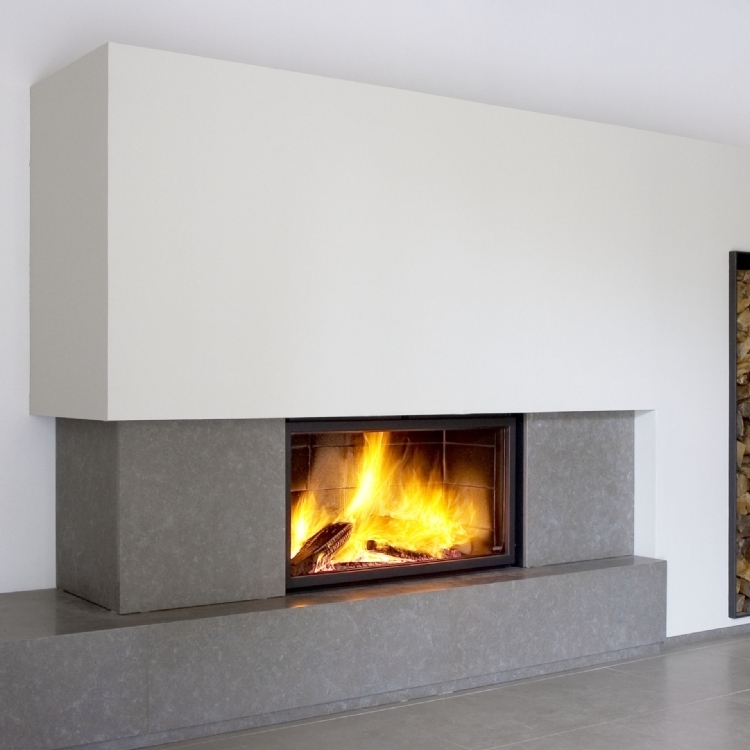 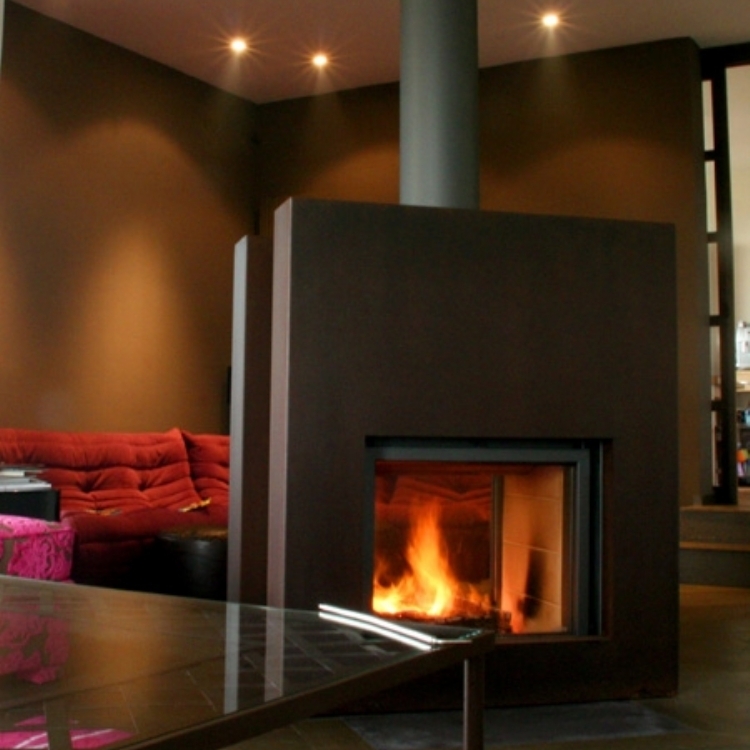 The double sided fire can be loaded from either side and is the focal point of both the kitchen diner and the lounge.